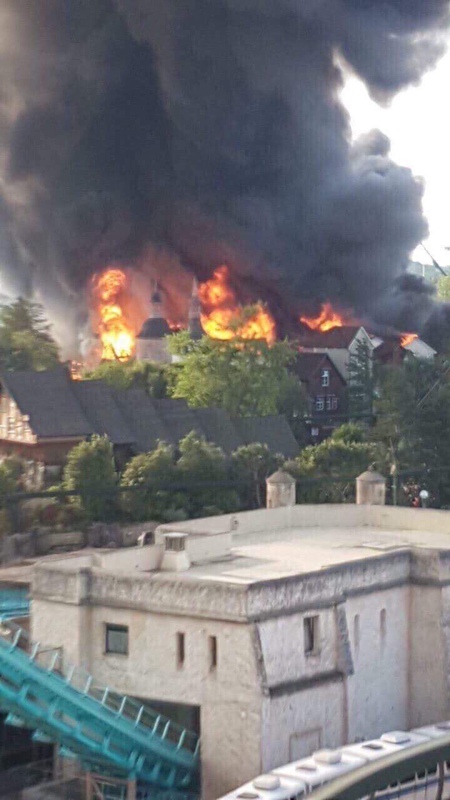 Developing story coming out of Europa-Park in Rust, Germany today as a massive fire has broken out. 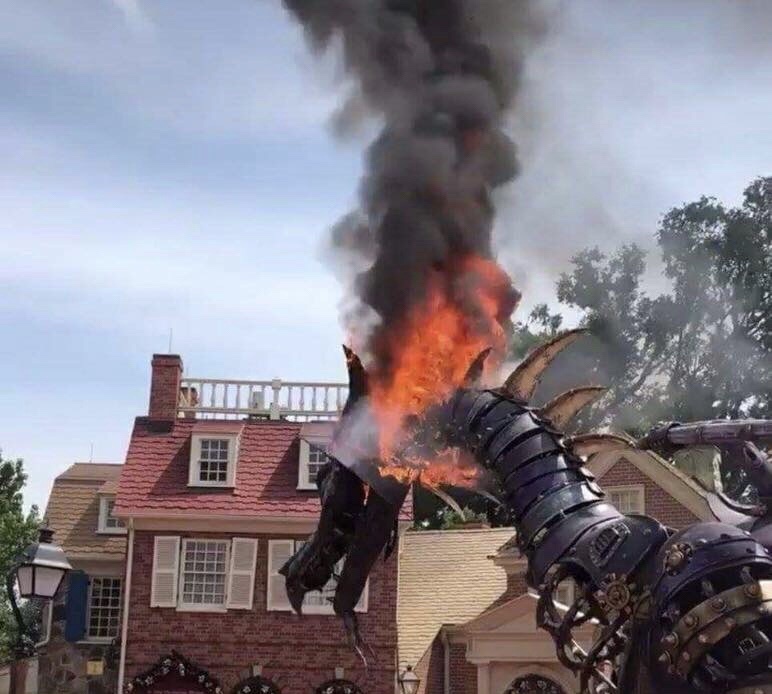 Thanks to images and videos on Twitter, we’ve been able to see that a huge fire broke out on the “Pirates of Batavia” attraction. The picture above comes from a rider on the Euro-Mir coaster on Twitter. The origin of the picture is unknown. Crews are on the scene battling the blaze, which has spread to surrounding areas and shops in the Scandinavian section of the park. There’s no word on what caused the fire. We will keep you informed if anything changes. Our thoughts go out to the park and staff and hope that everyone stays safe. 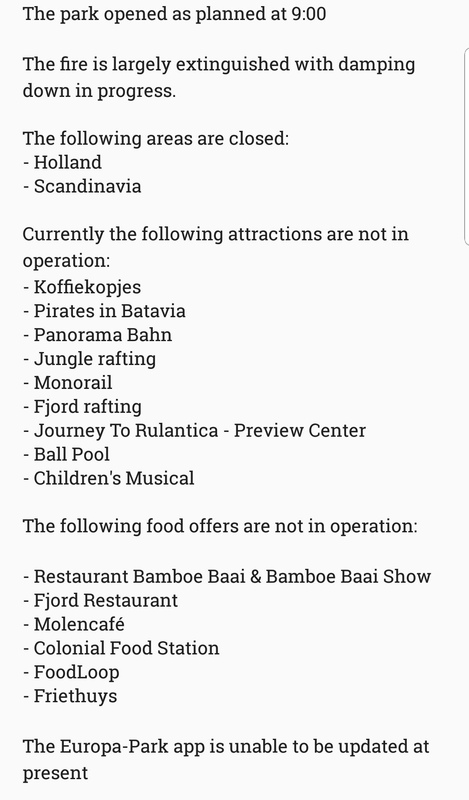 Media and park officials have confirmed that Pirates of Batavia and most of the Scandinavian section of the park has been destroyed. Damage has been contained to just those areas, though earlier rumors had said the fire spread to different areas of the park as well. While it’s bad, it’s not as bad as it could have been. Thankfully there have been no injuries at all so far, which is pretty amazing seeing that the park and area was open at the time. The fire started in a warehouse near the Pirates attraction, and engulfed a large portion of the area. Three firefighters were injured battling the blaze, which isn’t out yet, but is under control. The park reopened at 9 am on Sunday, with a list of closed areas, attractions and restaurants. The full scope of the fire can be seen in a video taken from the Monorail, which reopened Sunday morning. It shows off a massive amount of damage, and some areas still smoking. Our friend Lance over at Screamscape also put up a video of what the Pirates attraction looked like during a trip last summer. Fire Breaks out on Lot Storing Volcano Bay Slide Pieces.